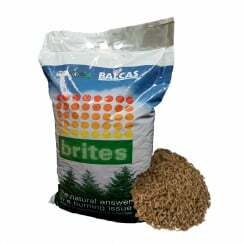 Balcas Brites currently provide one of the best biomass alternatives to fossil fuel on the UK and ROI markets today. Brites wood pellets are a low emission, high calorific value and sustainable product created from waste products from Balcas saw mills. Suitable for use in approved wood pellet boilers, Brites are ideal for reducing your fuel consumption and carbon footprint, while saving you considerable amounts on your energy bills (customers reported up to a 40% saving when switching to brites pellets). Brites produce little ash when used and are screened and sieved before shipment, ensuring a clean and hassle-free product for use in your home or business which can be stored indefinitely! Brites are cultivated from approved sustainable spruce & pine forests in Northern Ireland, and Brites policies include a 20 year fuel transparency plan, ensuring you know your fuel is both efficient & ethical.